A once in a lifetime chance to experience an evening walking tour and ghost hunt in Savannah with The Ghostwalker! Walk with a smaller group of only 15 like minded ghost tour patrons. Rated PG-13, Unruly spirits will be exorcised! 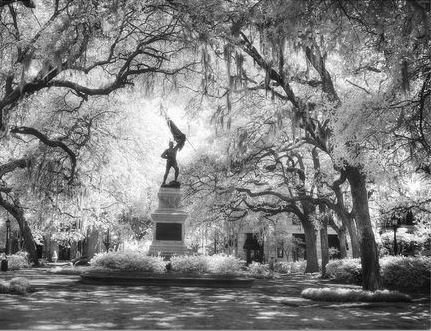 Hear the telling of The Savannah Ghost Stories narrated by the most experienced guide in Savannah! 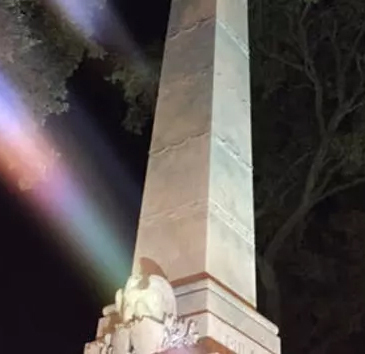 Learn the true History of a City built upon its dead. See Haunted Mansions, Cemeteries and Battlefields! We provide “K2 EMF Meters” for you to use! You can Hunt for Ghosts and become a real “Ghost Adventurer” for the night! 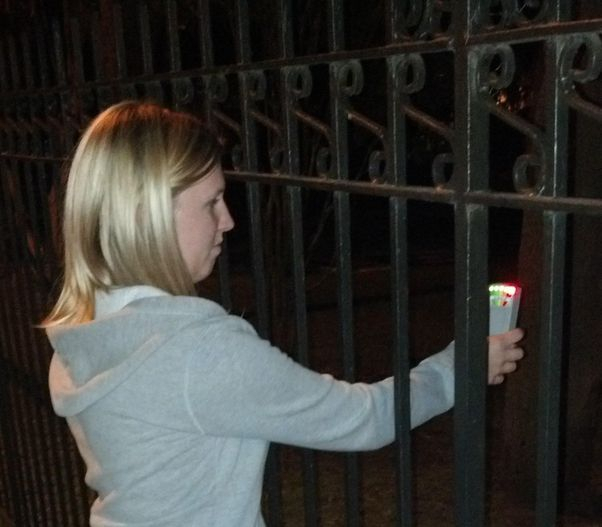 Click the button below to get started on adventurous Savannah ghost tour! Active K2 meter at cemetery. Gratuity for the tour guides is not included in the price of your ticket. It is not mandatory, however if you enjoyed your tour and you feel that your guide merits a “tip” it will be greatly appreciated and graciously accepted. Tour Begins at 9:00 PM in Madison Square. 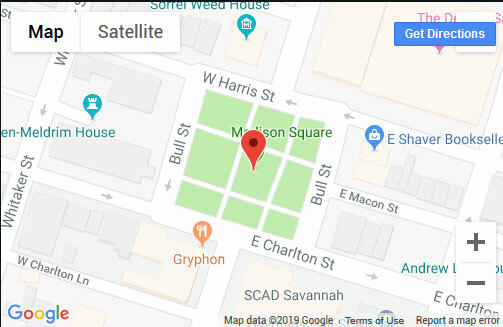 Tour Begins at 9:00 PM in the Southwest corner of Madison Square near the “March to the Sea” Historical Marker. Ask for the Ghostwalker. Considered the best, not crowded like the rest. Click the “Book online now!” button to make online reservations, or call 912-662-0155.